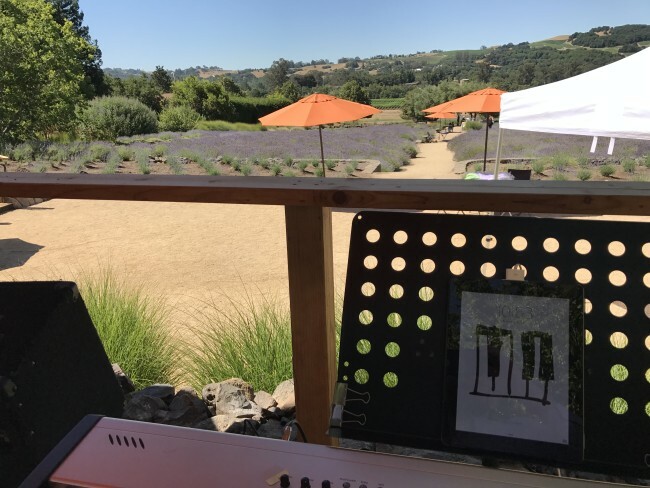 A repeat customer of mine for a number of years, I returned to Matanzas Creek Winery to play their “Summer Sizzler” event in the Lavender Fields. Although it was a pretty toast day in Santa Rosa’s Bennett Valley, with temperatures cresting over 90 degrees, I couldn’t have asked for a better spot to play. I had a fantastic view of the Lavender Fields from umbrella-shaded perch. Jazz and some 80s/90s Pop seemed to do the trick for the large, lively crowd. View of Matanzas Creek’s Lavender Fields from my perch overlooking the oyster and wine station. 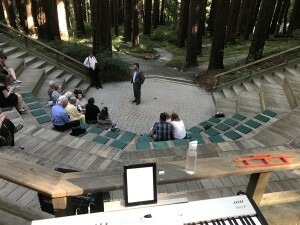 I had the privilege to provide music for Seth and Ann’s wedding ceremony in the gorgeous Redwood Grove Amphitheater tucked into the Berkeley Hills. I had never been here before, neither as a visitor nor a wedding vendor. The amphitheater is surrounded by beautiful redwood trees, and the setting sun filtering through the forest created a really special atmosphere for Seth and Ann. Plus they asked for some fantastic, unique songs for their ceremony, including tunes from the Rocky Horror Show and The Muppet Movie. It was a blast. View from the top of the amphitheater as guests started to arrive. 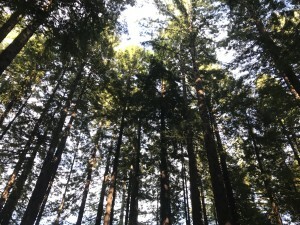 A gorgeous setting amongst the Redwoods. 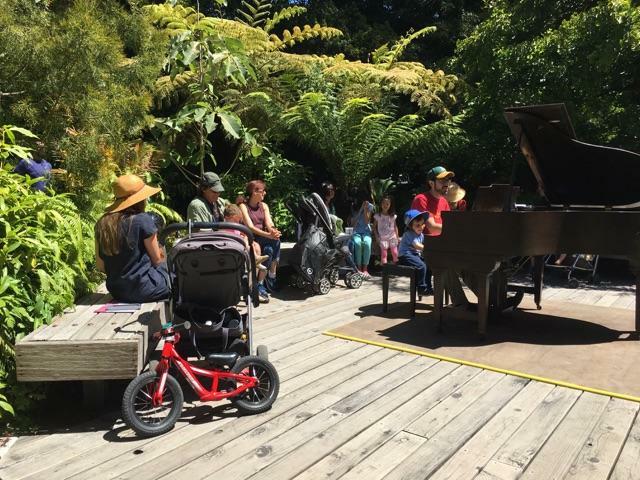 Along with some family friends, my son and I visited the San Francisco Botanical Gardens in Golden Gate Park during their popular “Flower Piano” festival. The festival is very popular and has a huge following. In addition to getting the opportunity to play a vintage piano in a unique setting, Flower Piano also provides an opportunity sit down at a piano and instantly have an audience full of strangers (people bring picnics and just kinda camp out by each of the 12 pianos scattered throughout the gardens). Towards the end of our visit, I was lucky enough snag a piano and rattle off a few tunes. Special thanks to Katy and Adam for the photos!